Napa’s September Employee of the Month! 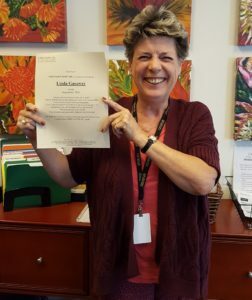 Linda Gasaway has been chosen as the Employee of the month for September. She has been with Hired Hands Homecare a little over 3 years. Linda has been a rock star go-to caregiver for those hard to staff 3 hour shifts. We can always rely on Linda to show up and do an outstanding job. Her clients love her and have only high praise feedback about her job performance.